Japanese Domestic Market (JDM) cars are the bee's knees. There's this distinct authenticity in these types of cars that you can only see in cars that are exclusively made in Japan, as opposed to those that have been exported to the U.S. The quality, the innovation, and the craftiness are all right there without having to conform to the Western taste. With that, it's not every day that you see a JDM classic that's so fresh and mint, you won't believe that it's an MY 1993, let alone, a flagship sedan. That's what this Nissan President JS is all about – and it only has around 32,000 kilometers (20,000 miles) on its odometer. 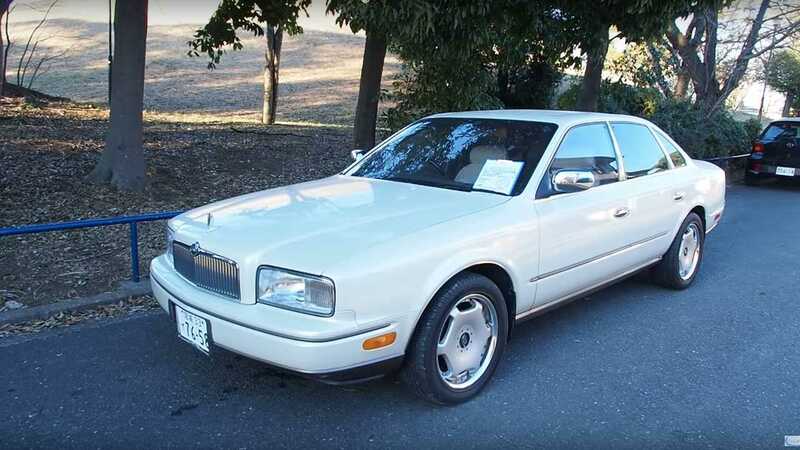 The 1993 Nissan President JS is the short wheelbase version of the executive limousine that was created to go up against other flagships like the Honda Legend and Toyota Century. This generation of the rear-wheel-drive sedan was revamped in 1989 because of the emergence of the Lexus brand in the U.S., which is the reason why the Nissan President is almost exactly like the Infiniti Q45, only with a different front and rear fascia. The President nameplate had been known to cater to the needs of the executive class, with a clientele of businessmen and government officials in Japan. With that, luxury and opulence are expected in the car and it shows in this imported 25-year-old example on the video. What's even special about this particular car is how fresh the engine bay is. The parts you see under the hood are almost like brand new, including the 4.5-liter V8, and it's quite surprising considering that the car was made in 1993. Guess this car has been sitting in a garage for such a long time. It's about time it gets up to a proper pace. Watch the video on top of this page to see all the details on this JDM classic to be imported by Pacific Coast Auto.